“The most complete footballer in the history of the game”. Well if Pele and Eusebio said it, it must be true. So this description of “Total Football” was played long before Rinus Michaels let Cruyff weave his magic with Ajax. He was runner up to Stanley Matthews in the inaugural Ballon d’Or and as the second winner of that iconic prize, so his skills clearly were noticed. 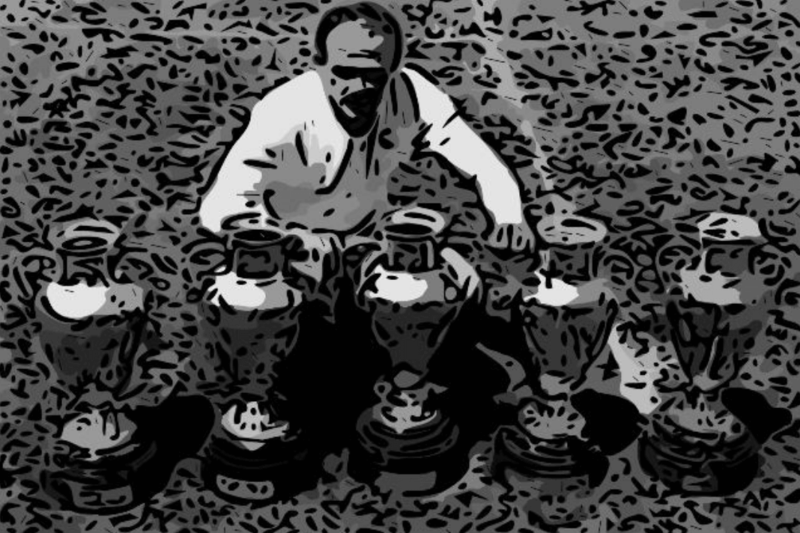 Alfredo Di Stefano is widely revered as the best player Real Madrid of all time and even with today’s hype that epithet seems to ring true. The best Real Madrid player ever! Every hyperbolic footballing adjective has been used to describe Di Stefano and from recorded evidence, he lived up to the hype. It seems to me that humble working-class footballers who hone their craft on the streets of their birth will never stop being legends. Born in Argentina on 4 July 1926 he was a global superstar even before that concept was in our psyche. 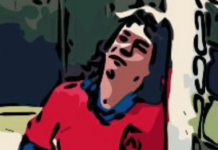 He made some 66 appearances for River Plate and scored 49 goals helping them win two Primera Division titles. He represented his country six times in 1947 and scored six goals helping Argentina win the South American Championship. 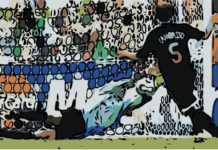 The Blonde Arrow was hitting the target and moving around the pitch in unprecedented ways. This young man had to play so when the Argentine football players went on strike he moved to Columbia to play for Millonarios. They won the Columbian Championships for the three seasons that he stayed there. In 101 appearances he notched up an impressive tally of 90 goals. The Columbian authorities took notice and gave him Columbian nationality and he put in four appearances for his adopted country. I mean if you had such Di Stefano in your stadium you would move heaven and earth to get that talent into your national squad. 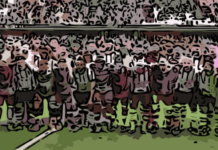 In a century where two conflicts had devastated the global population, it seems that football was a way of building international understanding. Di Stefano crossed continents to help heal those rifts, ironically to one of the most fractured countries in Europe. If it wasn’t for his humble nature, his arrival could have created more waves than he might have liked. Everyone wanted him in their squad. Both Barcelona and Real Madrid showed interest and it seemed that he was heading for the Catalan region as he played in a pre-season friendly for Barcelona. However, when the Dictator is your number one fan, the hotly contested star was only going to go one way. General Franco’s beloved Real Madrid signed Di Stefano and they were about to become the symbol of Spanish glory. History is written by the victors and can be rewritten by the bitters. Whoever you support and whatever you chose to believe is brushed aside when you look at the impact Di Stefano had in his third homeland. The legend of Real Madrid had been born. In 11 years they won the Primera División eight times. If that wasn’t impressive enough they lifted the European Cup five times on the trot with Di Stefano scoring in each final. The statistics say more about this player than he ever did about himself. The 216 goals in 282 appearances may not be the club record anymore but this was football at another level. Di Stefano was the star on a team that played together. He did not have modern day media to prove his greatness to the world but when you catch glimpses of Real Madrid on Pathe News his name is repeatedly used by the commentators. His strike partner Ferenc Puskas was happy to work alongside him. It is not lost on me that a Hungarian communist and an Argentinian were the top scorers in the dream team of Franco’s fascist regime. Puskas was an out and out striker and with Di Stefano “in your side, you have two players in every position,” according to Miguel Munoz who was going to defeat Real Madrid? The pinnacle of his career is a spectacle was are privileged to be able to see. On 18 May 1960, probably the best European Cup final was played. From the commentary, it was Di Stefano who was ever present during the match. The “Blonde Arrow” was a superhero that day. Who could have predicted at ten goal final? The pundits didn’t predict the winners as Eintracht Frankfurt had been outstanding all season. Di Stefano scored a hat-trick in that European Cup final and Puskas scored the other four Real Madrid goals. I am not sure Hampden Park has ever hosted such a fine match. I am equally as unsure that the goal tally will ever be rivalled. The most likely way of stopping them was to remove Di Stefano. His reputation had made him a global name and with Reals Madrid’s fifth European Cup he certainly boosted the perception of international football in British minds. He himself said he was “not an icon but a footballer”. Whilst in Caracas playing a friendly Di Stefano was kidnapped at gunpoint by the Armed Forces of National Liberation. This was a publicity stunt that certainly publicised their cause. They insisted he would not be harmed but in his autobiography, Di Stefano confessed the internal fears that occurred to him during the 70 hours he spent in captivity. It is not an unreasonable assessment. The leader Paul del Río wanted to stop his country’s exploitation and with the kidnap of Di Stefano, he brought that to the world. After three days together Di Stefano was released. That afternoon he did what he did best and went to play football where he was greeted by a standing ovation. His captor continued pursuing his revolutionary ideas. He also became an artist. They were both at the premiere of the 2005 celebratory film “Real: The Movie”. There was a brief handshake, not the photo the world’s media would have loved. Rivalries come and go. Some are geographical. Some are trophy weary. Mutual respect of managers is stronger than any other bond in football as too much passion is invested in the teams we support. Manchester United and Real Madrid may fight over the players but the respect of Santiago Bernabeu for Matt Busby was genuine and heartfelt. It was the stellar performance of “The Busby Babes” in the semi-final of the 1957 European Cup that started this. The following season when that youthful team were all but wiped out in the Munich Air Disaster Real Madrid dedicated their win to Manchester United. That makeshift team who lost to Milan in the semi-finals were as heroic as they were tragic. Bernabeu even offered them the trophy which they politely declined. They also had to decline an even greater prize – Di Stefano. Actually, it was the Football Association who blocked the idea. Maybe they didn’t want him taking on a fourth nationality and a chance of representing a country in a World Cup. Either way, it was an outstanding act of respect. Madrid raised a lot of money for the Munich Fund by selling pennants with the names of the dead on them. They also played friendlies against an increasingly successful Manchester United. The changing scoreline showed that Manchester United were on their way to triumph. Would it have happened if Di Stefano had played for Busby? Who knows? 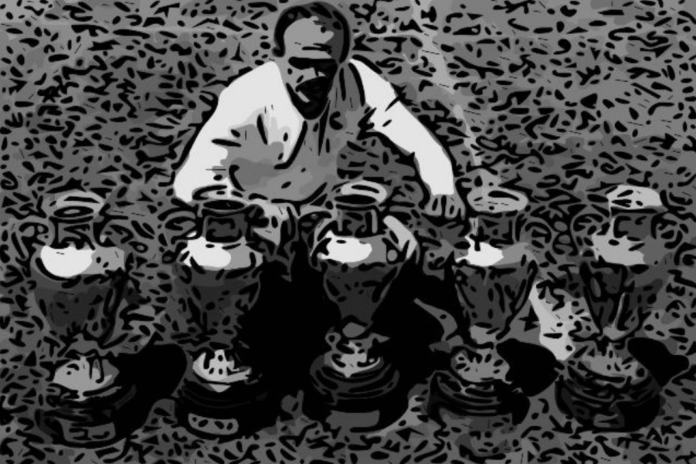 What we do know is that Alfredo Di Stefano was one of the greatest players of all time. All the other great players say so and the “Blonde Arrow” darted all over the pitch in total control. He played for the three countries that gave him nationality and unfortunately he was not able to give either one a place in a World Cup Final. Circumstances beyond his control.